The main thing in the work of the dentist is quality. If we have a toothache, we unknowingly can go to the first dentist that comes across and just have the tooth removed. The problem seems to be solved. But what if your tooth could have been saved? Or did a poor removal result in new unpleasant consequences? It can be hard to find a dentist in Glendale and never regret. To find a dentist and never regret, you should consider a few simple things, which Dr. Sahakyan at Smile Makeover of LA describes below. The reputation of a good dentist, as a rule, is high. Ask friends, co-workers, or neighbors for their recommendations. If you’re moving to another city, ask your previous dentist to make a recommendation. Contact your state or local dental society and get a list of recommended doctors in your community. Find dentists through an online search. Many dentists have websites accounting the principles and methods of treatment they practice. Look for reviews of the dentists on the Internet. Sites like Google Business and Yelp can shed a light on the quality of services provided by the Glendale dentist. 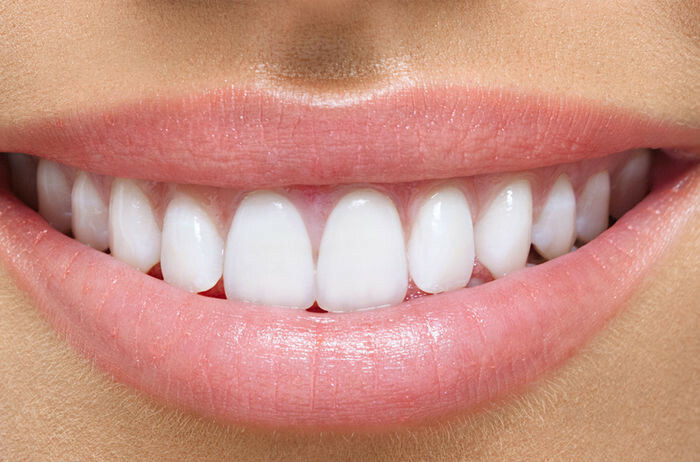 Dentists of Smile Makeover or LA can help find you get ideal dental treatment. We are waiting to provide you with a high quality dental care solution. Our dentists have the knowledge and skills that you are looking for. If you have any questions you can always give us a call 1-818-578-2324 or refer back to our website. 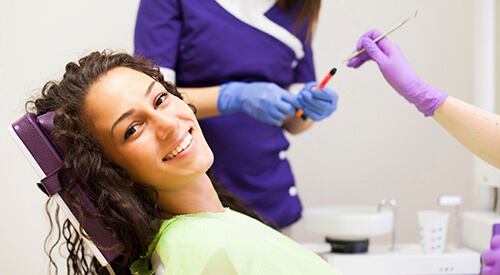 All dental procedures are negotiated in a written contract, and a documented guarantee is provided for the services. At the same time, carefully read the documents. The guaranty on the seal with a period of less than a year (or more than five years) should alert you. In the dental office, you are waiting for two people. This is a dentist and an assistant. All because in a really good clinic, the level of technical equipment of a modern dental office is so high that one dentist is not able to cope with all the equipment. The dental office uses a reliable system to protect the patient and the dentist from infections (hepatitis, AIDS, and others), modern methods of disinfecting instruments and disposable instruments. They always unpack the instruments with you. The dentist and the assistant work in full gear – disposable gloves, masks, and sometimes in protective glasses. Specialists of Smile Makeover of LA have been trained to ensure the best dental care for your whole family. 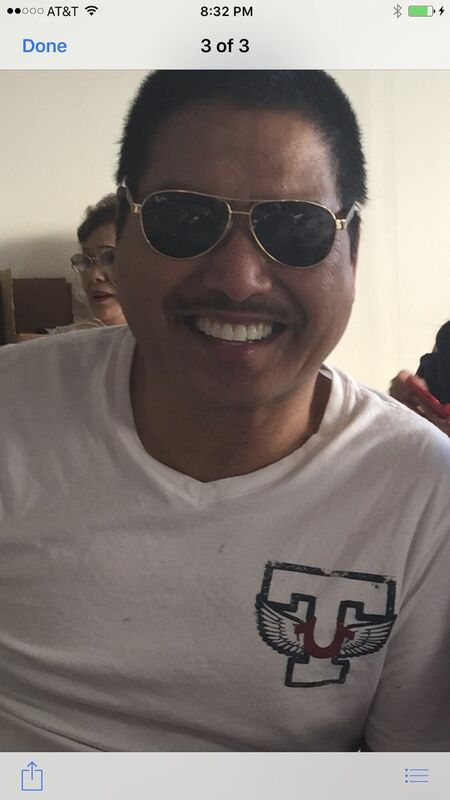 When you are looking for a good dentist who can care for the every member of your family, look no further. 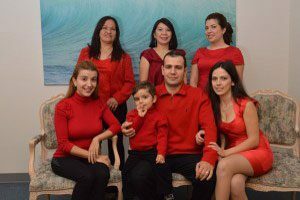 Contact the best dentist in Glendale, Dr. Sahakyan at Smile Makeover of LA. The first visit to the dentist is usually advisory. The dentist examines the oral cavity, clarifies the reason for the arrival of the patient, and gives further recommendations. So, what is the norm when visiting the dentist’s office? Dental staff is helpful and willing to answer your questions. Cleanliness and sterility in the office. Examination of the oral cavity by a dentist in disposable gloves and a mask. All medical, surgical and other procedures must be performed with sterile instruments. The work of the dentist is carried out “in four hands”, that is, an assistant helps him or her. For each patient, the dentist prepares an outpatient card in which he describes each visit and the treatment process. A good dentist knows everything in advance about the patient: genetic susceptibility to diseases, the date of the appearance of the first tooth, existence of an allergic reaction to drugs and psycho-emotional characteristics. It is dirty and chaos in the dental office. You suspect the dentist of uncleanliness. The dentist works without disposable gloves and masks or has not changed them after the previous patient. You are treated channels and it did not offer to make an x-ray of the tooth. You do prosthetics and have not assigned a panoramic picture of the teeth. Before anesthesia, the dentist did not ask if you have allergies. During treatment, you feel pain, and the dentist does not make decisions to eliminate it. You are faced with an impolite dentist or dental office staff. If at least one of these situations happened to you, you should not continue treatment in this dental office. During the first visit, the dentist collects a full history. If your state of health has changed, you must inform the dentist about it during subsequent visits. The procedures that are most often performed during a visit to the dentist are described below. Depending on the history of the disease, other operations may be performed on a specific patient. Routine inspection almost always includes a complete cleaning of the teeth by a dentist or oral hygiene specialist. 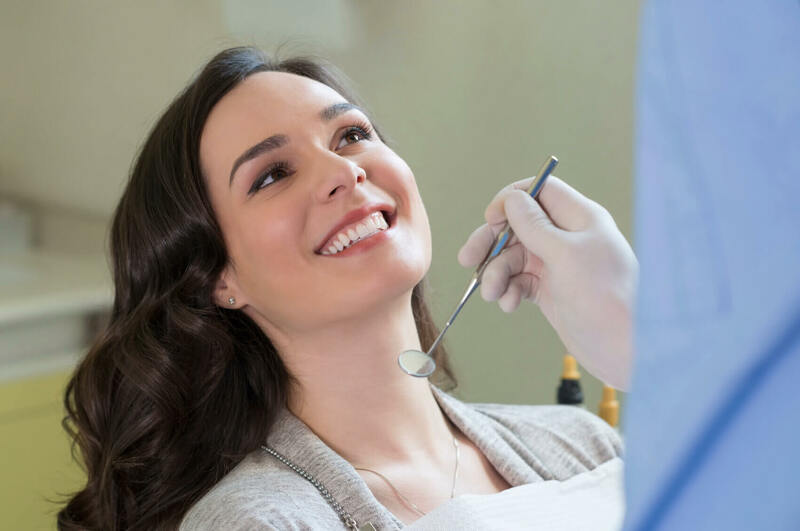 With the help of special tools, an oral hygiene specialist removes deposits along and under the gum line, including plaque and calculus, which can cause gum disease, cavity, bad breath and other problems. During the visit, a dentist polishes and cleans teeth with dental floss. The dentist talks about various methods of oral care and products that you can use at home to improve oral health. You can discuss with the dentist how is it best to avoid tooth decay, improve oral hygiene, get rid of the bad habits, reduce bad eating habits, etc. The dentist conducts a full examination of the teeth, gums and oral cavity in search of signs of disease or other problems. The purpose of this procedure is to preserve the health of the oral cavity, as well as the prevention of serious diseases through their timely detection and prompt treatment. Depending on age, the risk of developing oral diseases and their symptoms, the dentist may recommend that the patient undergoes an X-ray examination. 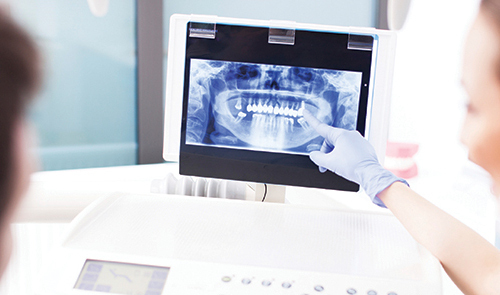 Radiography reveals problems that cannot be detected by other methods, for example, damage to the jaw, retention of teeth, abscesses, cysts or tumors, as well as caries between teeth. If you are pregnant, it is necessary to inform the dentist about this. Since the X-ray examination during pregnancy is carried out only in exceptional cases and with extra protective measures. No matter how good the dentist looks in the eyes of your friends or on the Internet, it is important to establish personal contact with him or her. That is, if at first glance the dentist seemed unpleasant to you, you should not “step on a rake”. Look for another specialist. The orthodontist corrects the occlusion anomaly using braces or orthodontic structures to displace and align teeth in the correct position. A dentist specializing in endodontics deals with the diagnosis and treatment of pulp and root canal diseases. Specialists in dental pathology diagnose oral diseases with the help of laboratory tests. A dentist specializes in the installation of bridges, crowns, and dentures. A maxillofacial surgeons perform surgical processes, such as removing a tumor, cyst, or tooth. They can perform surgical correction of fractures or other diseases, such as TMJ (temporomandibular joint dysfunction). A periodontist specializes in the treatment of periodontal diseases. A pediatric dentist specializes in the treatment of children and adolescents. Dr. Sahakyan at Smile Makeover of LA provides patients with treatments designed to meet their individual needs. Dr. Sahakyan applies the experience gained over the years to deliver the highest quality treatment options. Our priority is to give our patients a professional dental treatment that will improve their lives. If you have any questions, please contact the best dentist in Glendale, Dr. Sahakyan or call 1-818-578-2324 for an appointment today.